Yery funny, cartoonrob! And yet… it has the sweaty tang of absolute truthiness. Schinkeldorp. He’s tomorrow’s.. what was that guy’s name? You know; hairy. A bit bow-legged. Slow off the mark, and yet, not that strong. A stalwart of the Doggies backline for about 10 years. Humperknackel? Dwibbish? 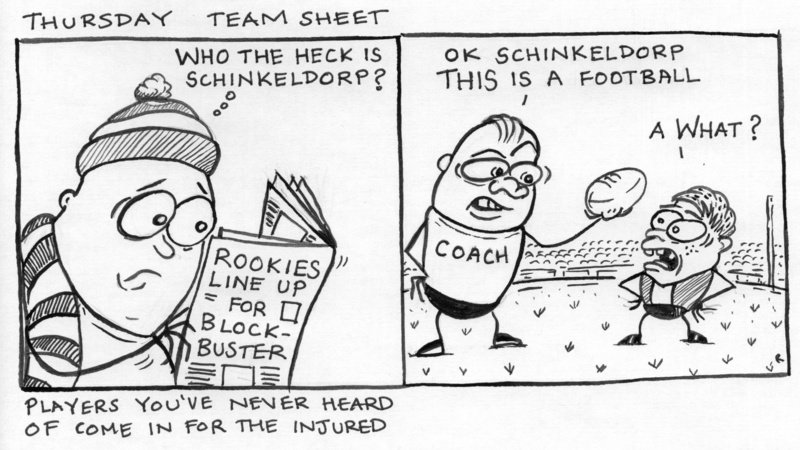 Anyway, Go Schinkeldorp!